February 8, 2016 - At a time of racial and gender discrimination, Bessie Coleman became the first black woman to earn a pilot’s license in the 1920s. The Tuskegee Airmen became America’s first black military squadron during World War II. After a six-year legal battle, Marlon Green became the first black commercial airline pilot in 1963. That same year, Delta hired its first black pilot, Sam Graddy. He was an inspiration to Flanigan, who followed in his footsteps, becoming a Delta pilot himself in 1976. 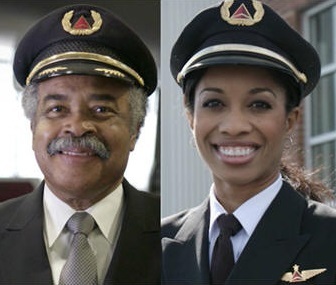 Years later, their careers would intersect in a history-making moment for the airline.